Jessica Owens-Young is an Assistant Professor in the Department of Health Studies at American University. Her work broadly focuses on policy and law as social determinants of health. Dr. Young’s research centers on investments and policies that improve health through community and economic development and the roles race and racism play in shaping these investments and policies. 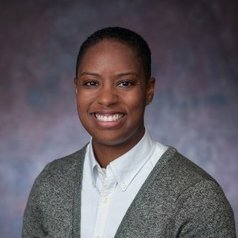 She has been published in a variety of peer-reviewed journals, such as the American Journal of Public Health, Journal of Public Health Management and Practice, International Journal of Environmental Research and Public Health, Journal of Law and Medical Ethics, Epidemiologic Reviews, Food Studies, and Family and Community Health. Dr. Young’s current research projects focus on the intersection of community development and health, including the roles and impacts of philanthropy in designing, scaling, and translating community development and health initiatives into policy. Dr. Young is also examining maternal health experiences among Black women living in Washington, DC. Prior to American University, Dr. Young worked as a Program Associate at the Annie E. Casey Foundation. Dr. Young completed her PhD in Health Policy and Management at the Johns Hopkins School of Public Health, specializing in Health and Public Policy.